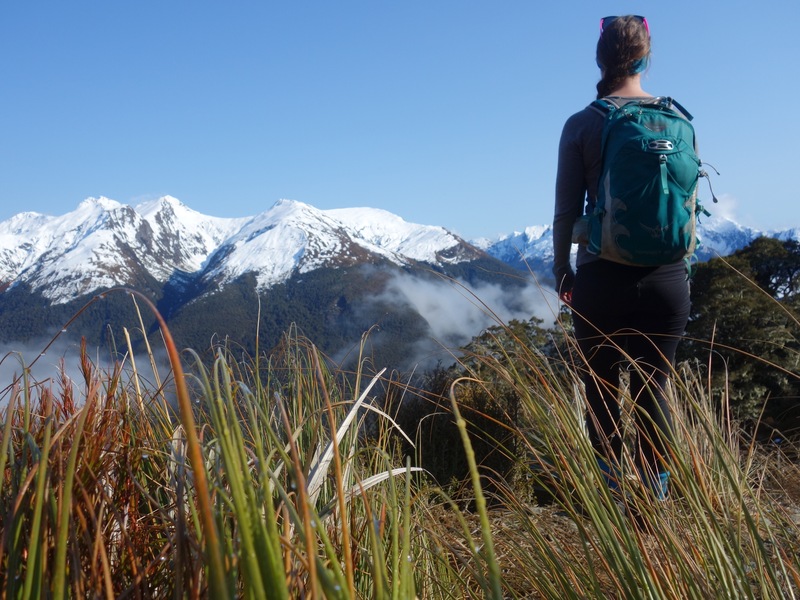 With Spring around the corner and an itching to get out exploring, I opted for a day out of Wanaka and drove into the Haast Pass for a challenging day walk with rewarding scenery. 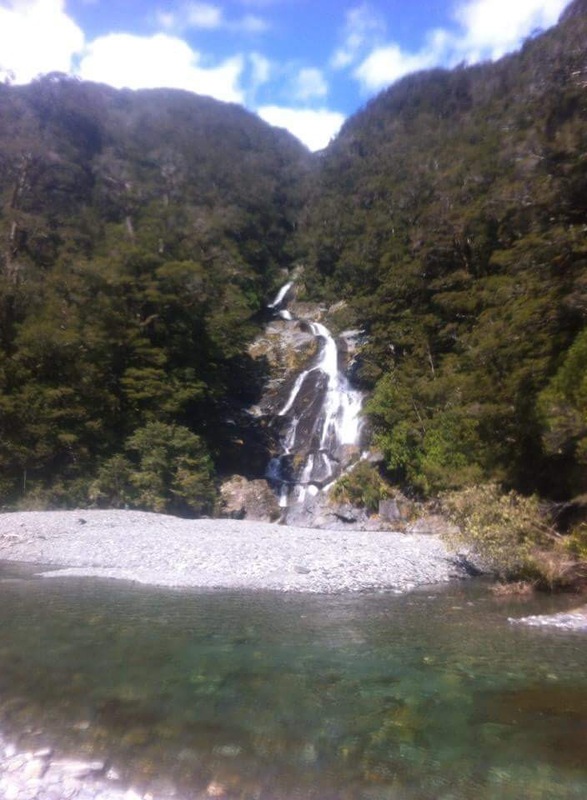 Brewster hut is located just past the Haast Pass summit and next to the beautiful fantail falls. 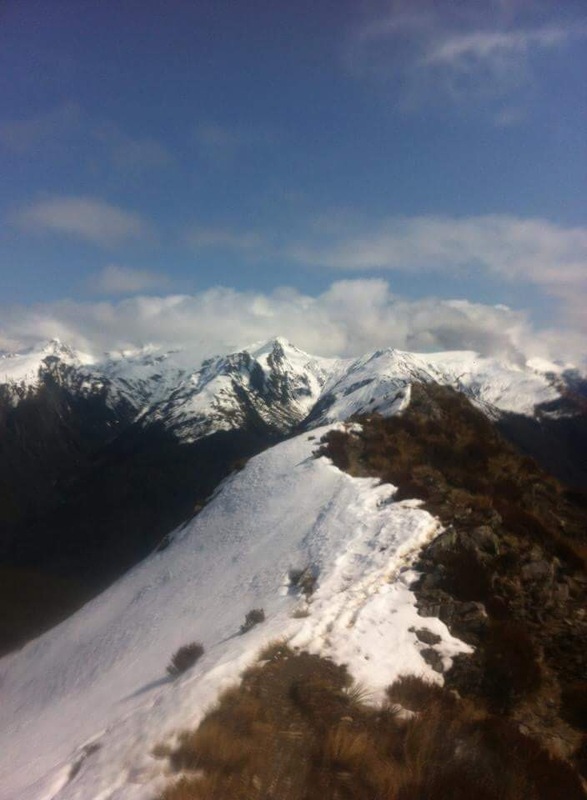 All along this highway from Hawea through Makarora to the West Coast are beautiful stop of points including the infamous Blue Pools, as well as several waterfall and trailhead to overnight and multiway tramps. 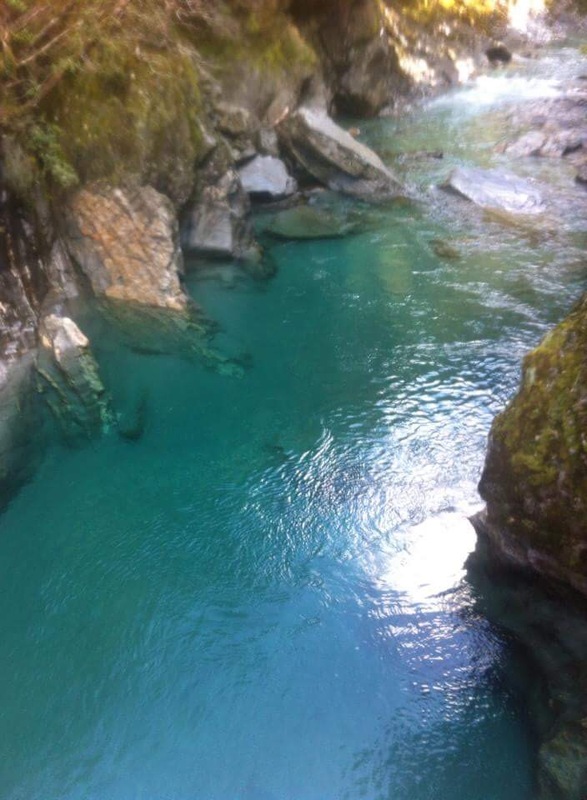 The trail begins with a quick dash across the Haast river, which gives a good indication of whether or not the tramp is a good idea. In fine weather, which luckily I had, it was a little more than ankle depth and super frigid temperatures- I guess to be expected in winter! However if the river is swollen or in high flow it is best not to attempt it. As with many NZ tramps, river crossings pose a real threat and in this volatile terrain it is no use pushing the boundaries. The same goes for heavy rain, which can cause the rivers to rise rapidly preventing safe passage back to the trailhead. 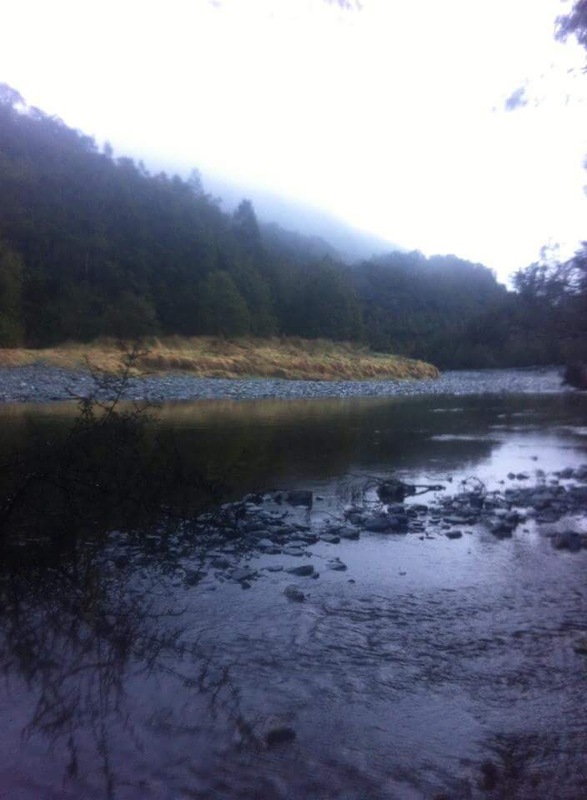 However once over this river which was harmless, although freezing, when I crossed, it is then a solid 2 hour sludge straight up through the bush . 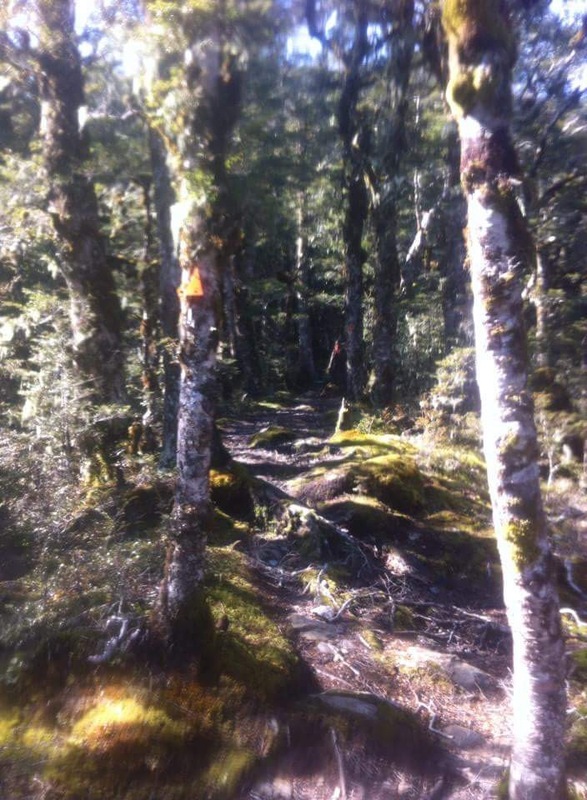 Tree roots and orange triangles and common on the path and the steep terrain often requires both hands and feet at the ready on all occasions. Breaking out of the bushline into the tussock, a stunning view of the surrounding peaks is seen across the valley. Below, you can make out the winding road and river snaking its way to the west. 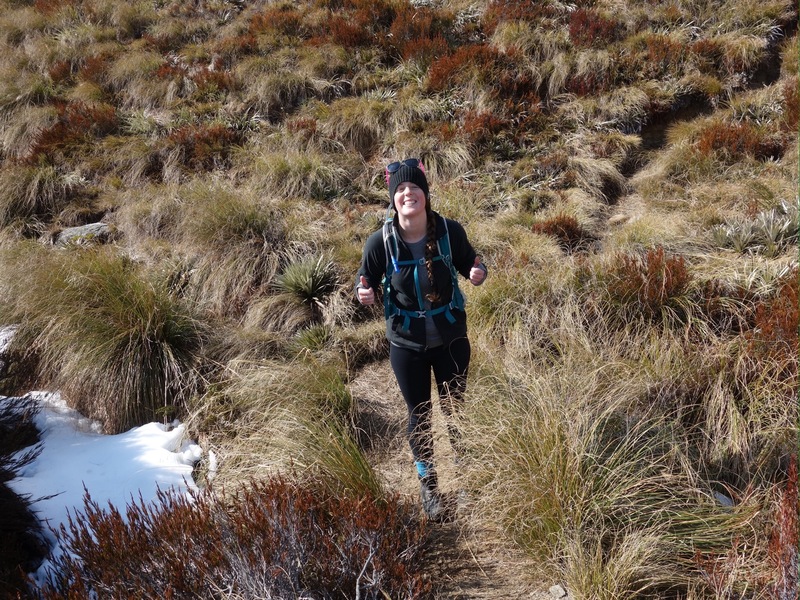 Another scramble up the wet tussock and then a walk across a ridge which fell away steeply to both sides had me grateful it wasn’t windy that day! In poor visibility and bad weather the going would be difficult. 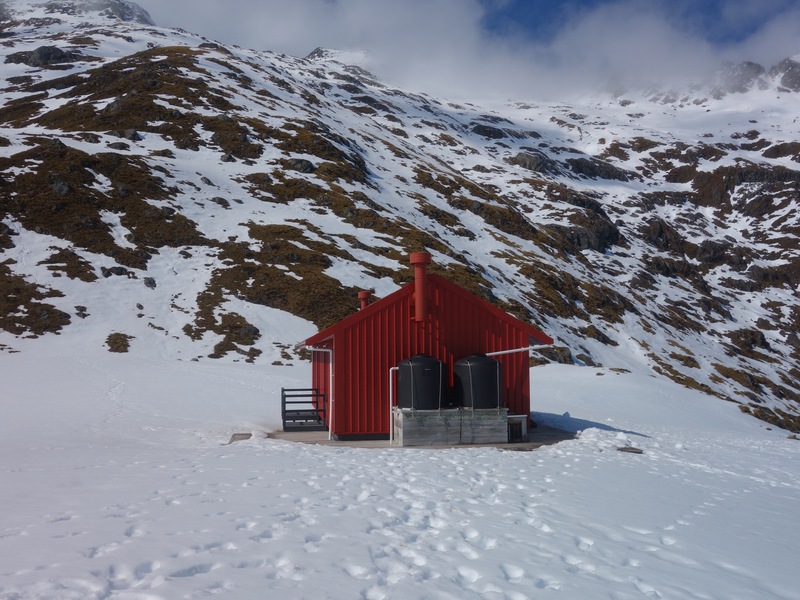 The last 300m to the hut was a trudge on and off the track as there was still some crunchy snow around, but luckily the people before had boot packed through it so it was easy going to the hut. 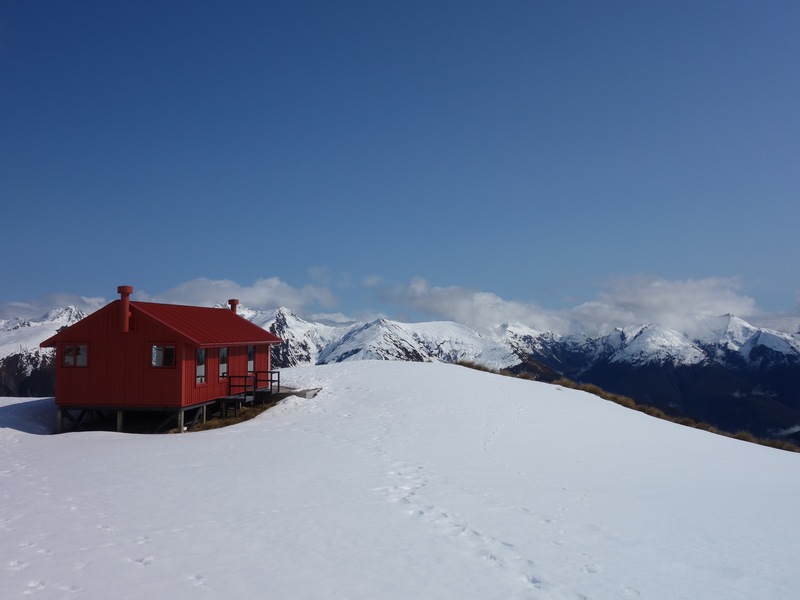 Brewster hut is a DoC maintained serviced alpine hut and it sits in a beautiful location below Mt Brewster and Mt Armstrong. It is positioned at an altitude of 1442m so is definately the highest hut I have visited so far! It is a cheerful 12 bunker with plenty of room for living and chilling out, seperate to the bunk room. I enjoyed a feast for lunch – the beauty of day hikes- and chatted to some of a mountaineering group who were staying, students from grey mouth just over for some outdoor assessments. I explored a little around the hut and went for a wee walk but due to the rapidly softening snow I just enjoyed being up in the hut for a few hours. While the weather looks fine in this picture, behind me the clouds were beginning to roll in so I said goodbye to my lunch buddies and started the steep slippery descent back to the comfort of the car. It was perfect weather, sunny but a light breeze, and not too hot, as really the end of winter and nearly into spring. Crossing the river at the end I checked out the fantail falls and of course blue pools on the way back into Wanaka. Was a great day trip to really get away and bag another hut. Would love to come back and stay overnight! Great fotos and good risk analysis on river crossings.